Picture this; you are all suited up to impress someone. Their eyes are targeting your face, then go down from there to the rest of your body, until you hear a slight “Oh”. Your throat starts to tighten, you probably start thinking about a million things that could have made that person come to such an expression. What is wrong, you ask yourself, you probably start to get uncomfortable. Is there remains of your lunch dried up on your dress shirt? No, my friend – there is a clashing TIE on your dress shirt – that’s what’s wrong! It’s not bad – if you know what you are doing that is – if you know how to match your dress shirts and ties. It can be harder than you think, so in this article, let’s look at 5 basic dress shirt types, and the best tie options for each of those. 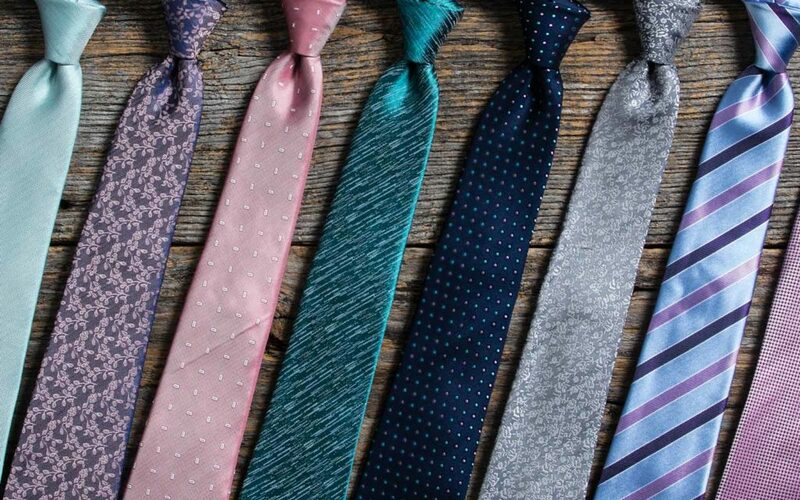 Learn how to choose the perfect tie with confidence every time. The most simple way to match the colours is using this color wheel. Let’s walk you through it, so you understand. Complementary colors are colors that sit directly across from one another on the color wheel. The most common version of this in the dress shirt-and-tie world is a blue shirt with an orange tie. Remember that the actual colors probably won’t be as bright as you see here! Triad colors are three colors that are equidistant from each other on the color wheel. For instance, blue, yellow, and red or pink are often used together in dress shirt and tie combinations. A blue and yellow tie looks good on a pink shirt, while a red and yellow tie works well on a blue dress shirt. Analogous colors are the type of colors that border each other on the color wheel. 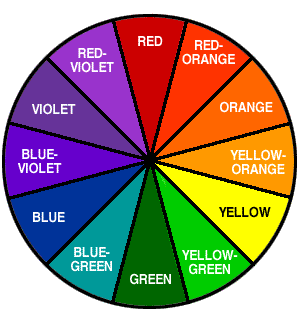 Of course, you don’t have to follow the color wheel exactly – just use it as a guide, and you won’t go far wrong. Pattern matching has two basic rules, so this one is very simple. That means for you that they should be different sizes, not necessarily different shapes. You can pull off a necktie with wide stripes on a dress shirt with narrow stripes, but you can’t pull off a tie with dots the same size as the stripes. The smallest patterns should be next to your skin, with the bolder patterns on your outer layers of clothing. Think about it – how often do you see someone with a wide-striped dress shirt and a narrow-striped necktie? Not often, right? There ARE exceptions to the rule(s) though – Pindot ties, which have a tiny pattern, tend to go with more than you’d think, but it’s a good general rule. To remember it, always imagine you’re defending a fortress – you put your biggest, boldest warriors on the outside, and the smaller ones on the inside. This is a very versatile shirt pattern – one that is formal enough for the office, but also relaxed enough for smart casual. It’s arguably one of the most versatile shirts to pair a tie with, too. Almost anything goes with a classic check shirt. Do wear solid ties of any material. Also here, anything goes. The pattern on these type of dress shirts is subtle, but just enough to keep plain ties from looking boring. Do also wear regimental or university stripes confidently. These ties have bold but consistent patterns, so they look great against smaller stripes or checks. Do not wear foulards, club neckties or other fine repeating patterns. The patterning is too small against the check and won’t have the necessary contrast. Chambray is the more refined bigger cousin of denim. Chambray has a light feel, like denim, paired with a lighter color and a softer, plainer weave inside of denim’s tough twill weave. Do pair it with solid knit ties. The bulky texture of the material compliments the rougher look of chambray. Do also wear patterned wool ties – the combination of the subtle texture and pattern will stand out well against the texture of the shirt and retain a casual feel. Do not wear Silk ties or any tie with some type of sheen on it. These will end up being too formal, and look out of place against the casual shirt. The more classic striped dress shirt often end up not actually appearing striped from a distance. The stripes in the shirt are so fine that they blend together to the viewer. Up close these fine stripes help adding a fair amount of interest, as you’re able to distinguish the very subtle pattern. 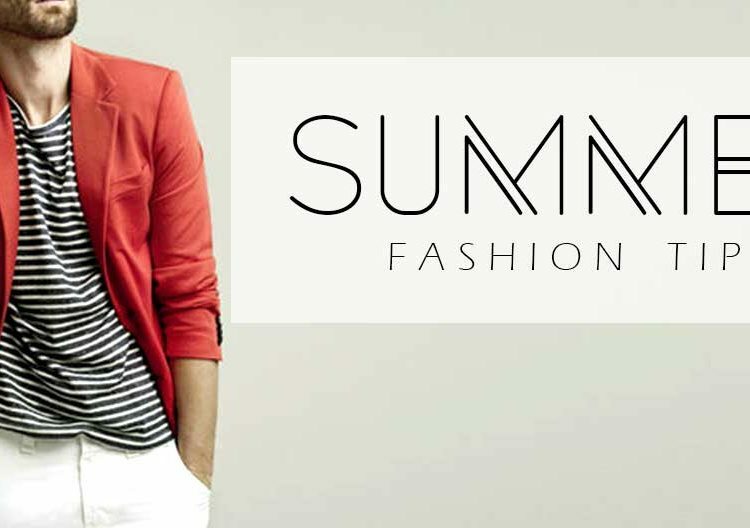 Do wear any kind of solids, classic stripes or foulards. The stripes are fine and forgiving, so most patterns, even fine geometrics, will give a nice contrast against this shirt. Do also feel free to wear casual neckties. This type of shirt may look very formal, but it can actually be dressed down also. Experiment with for example knits, as they can look great paired with a striped dress shirt, when worn with the right type of jacket. Herringbone is the elegantly interesting cousin to the plain white or plain colored type of dress shirt. Herringbone is a pattern in just one color. The pattern is created by a V-shaped weave characteristic of twill fabrics. Do wear almost anything you want really. The herringbone pattern in dress shirts is so subtle that unless you match the necktie exactly to the dress shirt, anything will look nothing less than fantastic. It’s a formal type of dress shirt, so you may even want to try out a bow tie. Do not wear any casual ties. Take knits as an example of what NOT to wear. While this dress shirt is patterned, it is a very refined pattern and looks more formal than anything we’ve talked about yet in this article. Knit ties or chunky wools will end up looking very out of place against this type of dress shirt. This is another weave which will end up giving the impression of texture. The mini houndstooth is slightly less subtle than the herringbone weave, but also here, the same basic rules apply. Do wear almost any pattern, all the wat from bold stripes to subtle geometric patterns, or what the heck, even a herringbone tie! Solid colored options are fine too, although patterns will actually create more visual interest as the dress shirt reads as a solid color from a distance. Do not wear knits. Again, knits seems to be somewhat loosing out here, but knits is just so obviously a casual-looking tie. Bear in mind, this is a formal dress shirt. Pairing a knit tie with it would just be wrong. Have you taken all this on? Would you like me to make it even easier for you? Well, then get in touch with us at Damanino, so we can give you a free style consultation. With our guidance, there’s no chance that you’ll ever choose wrong, no matter if we’re talking about your dress shirt, your necktie – or the combination of both.